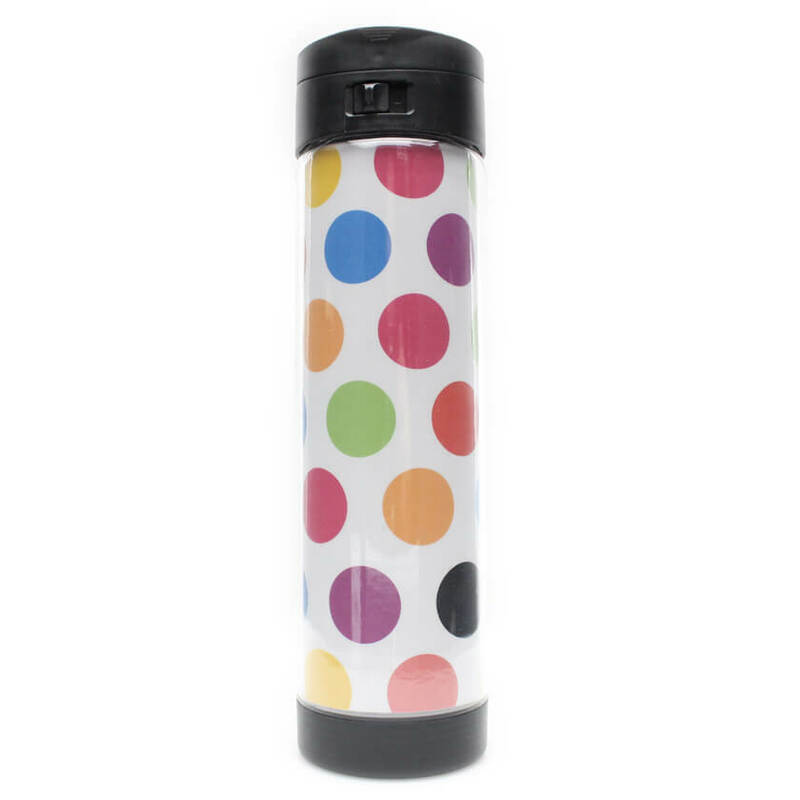 A fun way to create your very own completely custom glass water bottle is to add a printed laminated insert inside the protective outer shell of your Glasstic. In this way you can make Glasstic look pretty much any way you wish. 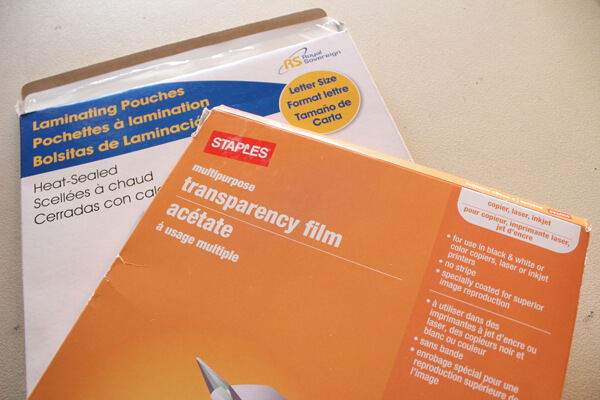 The following are some designs we made in the office using our UV inkjet printer to print on clear transparencies and a lamination machine and pouches purchased from Staples to make the inserts water tight and eliminate ink smell plus protect the ink. As you can see in the above pictures the colors pop out very well on the transparency…this is due to the fact that our printer can print a white layer of ink prior to printing the colors in order to allow the color to better show vividly on transparency sheets. 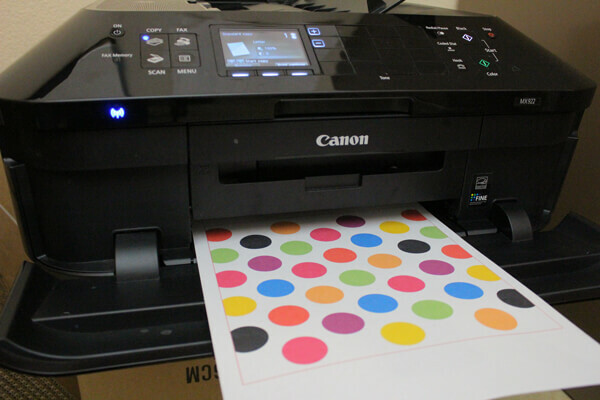 Most personal home printers do not print in white unfortunately. This is not a problem as you can see below. These prints were done on an inexpensive Cannon printer and laminated with an affordable home laminating machine. The color is not quite as sharp but the effect is still very cool…imagine the designs you could make!!! 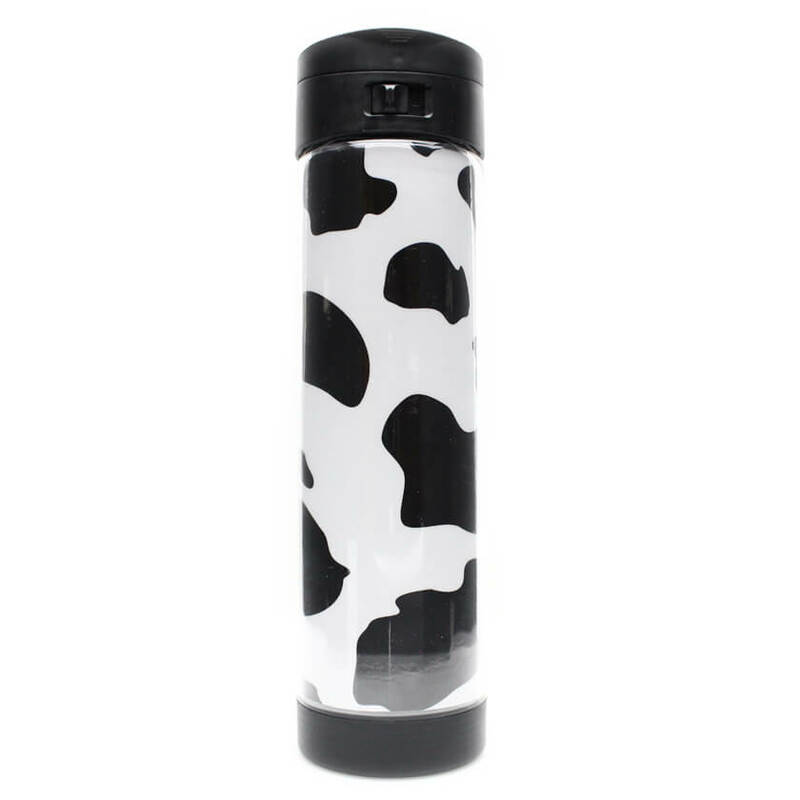 If you find you require a white background for designs like the following cow hide pattern design you can always print on regular white paper and then laminate it…this allows you to make use of white in the design or to make colors really pop out. 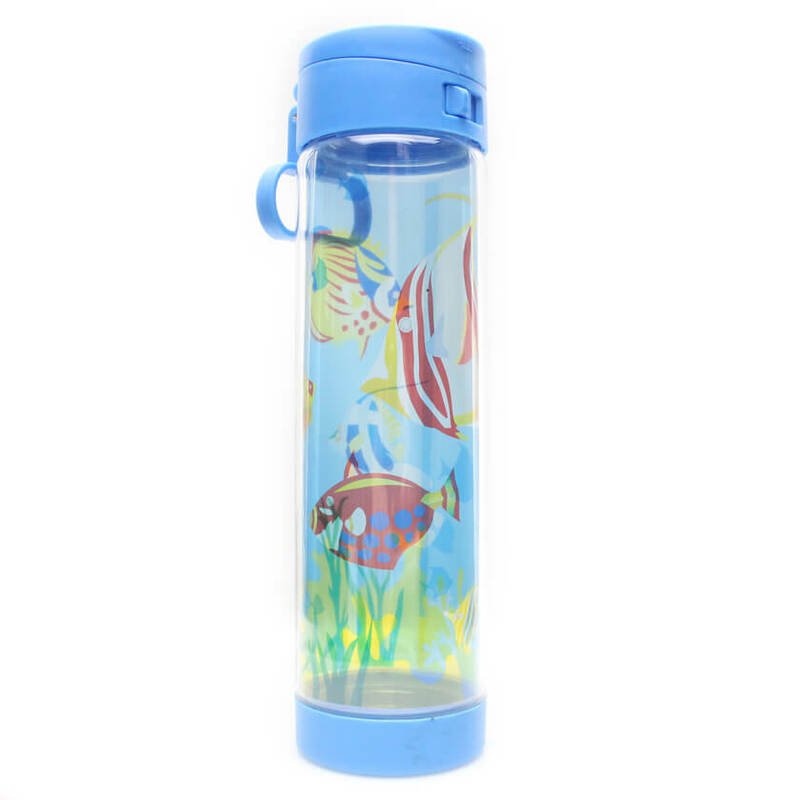 The downside is the design is not transparent and so you cannot see the through the bottle or see the liquid inside. 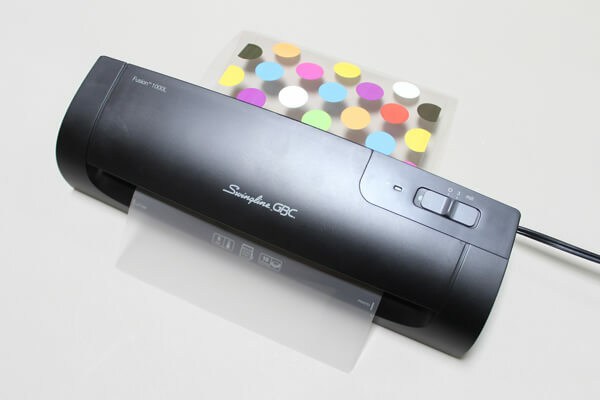 The upside is cheaper materials (paper vs transparency sheet) and the ability to print very vivid colors and designs containing white. 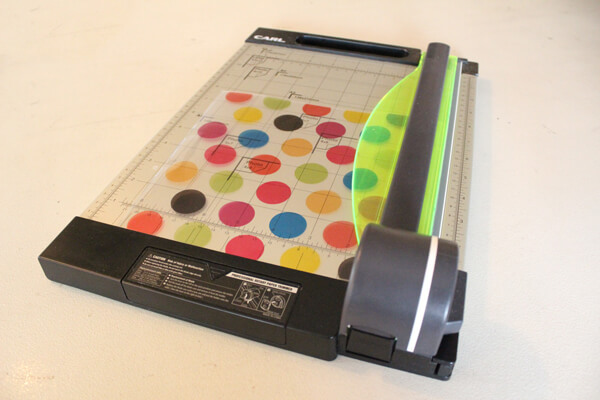 In order to create the ‘correct’ size, more on this in a bit, printed insert you will need to either use this template or create one that is similar. The template should work well in most cases. The only issue with using template is the final size of the piece really depends on total material thickness and the finish size after laminating and cutting back into shape and so you will have to experiment a bit to get it right. The main point to remember for sizing the insert is that the top edge should be shorter than the bottom edge to account for the curvature of the product and the fact that the product narrows at the top inside the shell a bit. 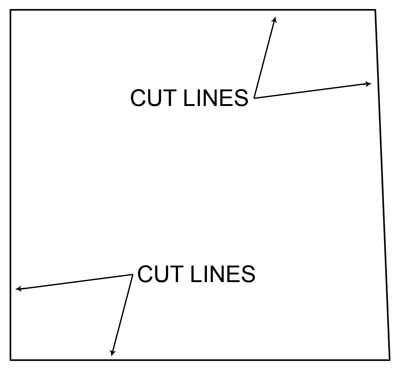 The seam between the left and right-hand side of the insert will be straight up and down when the sizing is ‘correct’. The only other consideration for sizing is whether or not you wish the seam to overlap a bit or come together perfectly. The downside with fitting ‘perfectly’ is sometimes it is a little more difficult to remove the insert from the inside of the shell. I normally use a toothpick or something like that to help me lift an edge from the insert so I can remove it. Adjust the insert inside the shell so the seam lines up to be straight up and down and you will have a good fitting insert. 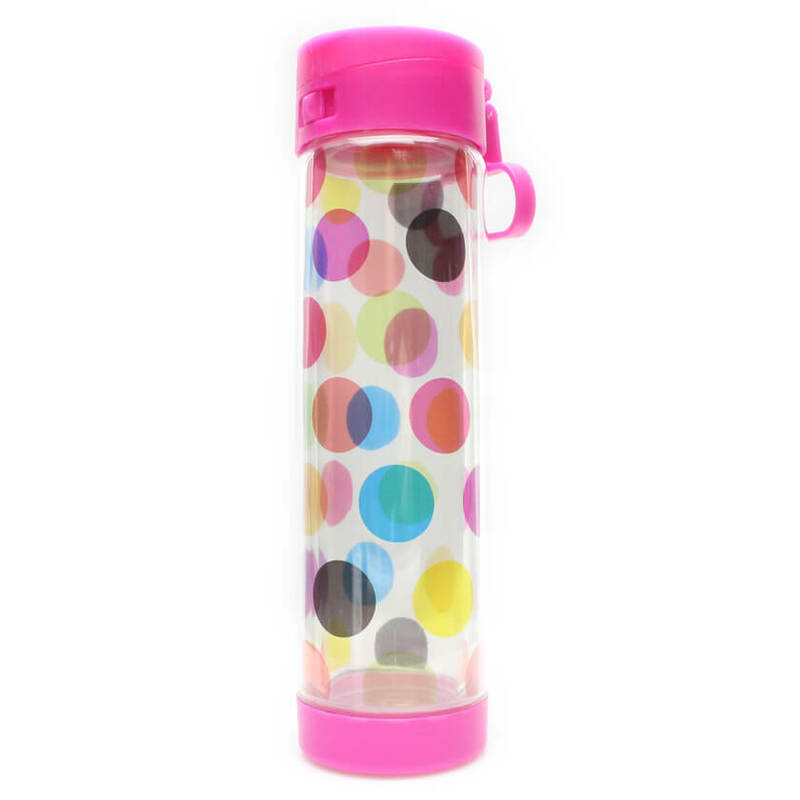 By making printed inserts for your Glasstic Shatterproof Glass Water Bottle you can really completely customize it to make it whatever you want it to be. You can make one for every day of the week if you like! How cool is that? We have found that these inserts can last quite a long time and from the feedback we receive from our awesome customers we know they really love the ability to customize their product and we hope you do to! If there are any specific questions please contact us and we’ll help you out. Please let us know of any designs you may be interested in but are having difficulties creating we may be able to help. You can also use our online design tool.